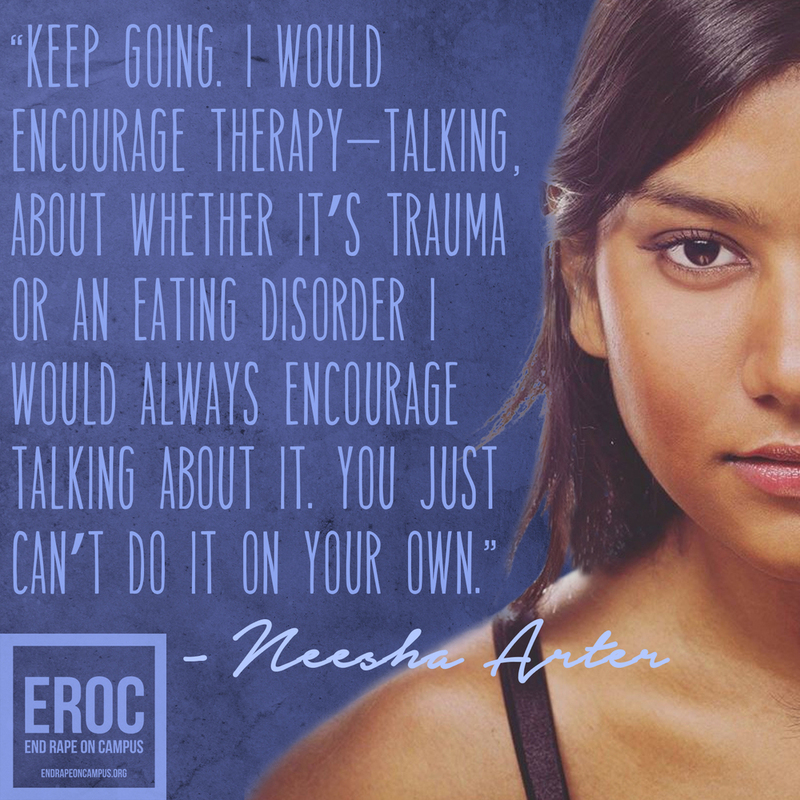 In celebration of National Eating Disorders Awareness Week (February 22nd through February 26th), EROC highlighted the important and under-explored intersection between sexual assault and eating disorders. Both traumas disproportionately affect young women, both are hidden, and both can breed shame and self-loathing -- most importantly both can be addressed, in part, by dedicated advocates. We at EROC saw an opportunity to shed light on the stories of survivors of sexual assault who have experienced eating disorder recovery. We feel a responsibility to educate our supporters about the co-morbidity of the two traumas and the need to de-stigmatize them.